The timing belt connects the crankshaft to the camshaft inside an engine. Their function is to keep the engine synchronized by ensuring the valves and pistons rotate in time with one another. Timing belts wear out over time. The best way to avoid a timing belt from breaking is to replace it before the wear becomes significant. 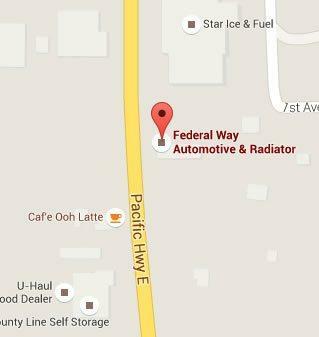 Federal Way Automotive & Radiator offers timing belt replacement near Fife, WA. Timing belts tend to fail without much of a warning. The best way to prevent this is by changing the timing belt as recommended in the owner’s manual. Our technicians keep track of those recommendations, so you can get your timing belt replacement on schedule. Most vehicles need a replacement every 60,000 miles, but some automotive makes (Porsche and Volvo, for example) have models with differing requirements. 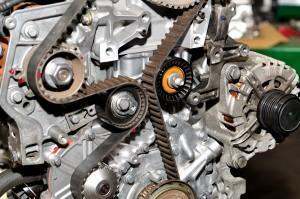 Timing belts do not stretch but rather get brittle over time, causing them to eventually break. The more brittle, the sooner you should get a replacement. A timing belt replacement is standard any time you have an engine rebuilt. The risk of reusing an old timing belt is too high, making the replacement the better practice. Water pumps and timing belt replacements often go hand-in-hand. The placement of the two parts are close together and generally have a similar recommended time for replacement, making it efficient to do both at once. 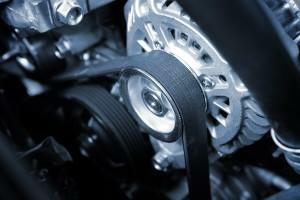 Do You Know When to Change Your Timing Belt? How often does the owner’s manual recommend replacement? Our technicians can help you determine the answers to these questions, if you do not know. Come by and let us inspect your car, truck, van, or service vehicle and determine the state of your timing belt. If a timing belt replacement is recommended, we will offer you a straightforward estimate. We use the most reliable brands and guarantee our parts and labor, so you knowing you are in good hands. As a locally-owned company serving the residents of Fife since 1982, we go the extra mile for our customers. We never pressure you into more services than your vehicle needs. Our commitment is to honest, open communication and providing guaranteed parts and services you can rely on for superior quality. We believe in building long-term relationships with our customers, and that begins with excellent service! Contact us today for your timing belt replacement near Fife, WA and rest easy knowing you are current on your vehicle maintenance.